Rather than spam you with a tonne of posts during the week, I thought I’d Introduce a new weekly post where I share everything crafty and creative I’ve been creating during the week. I won’t go into massive detail on each item or we’ll be here for ages, but if you would like to know more details or where I brought products from then leave me a comment and I will post the information there for you. 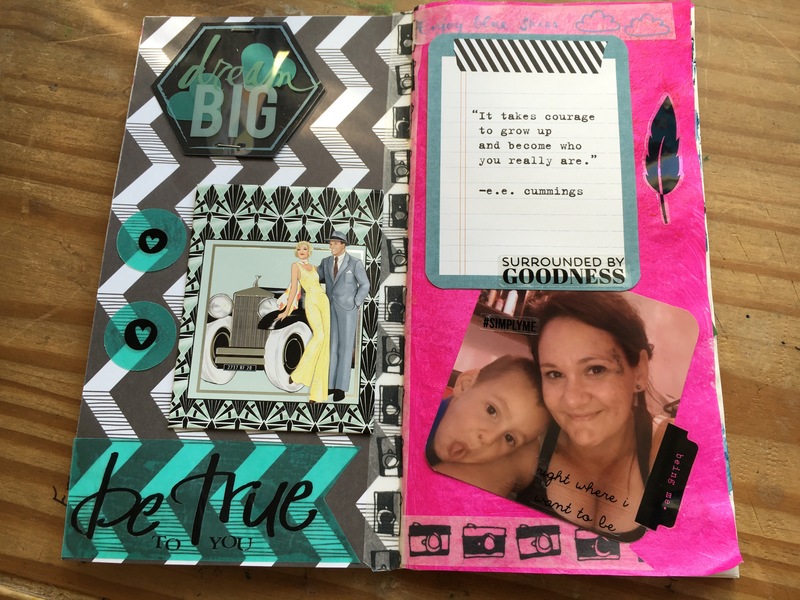 Because I have a very short attention span and tend to chop and change crafts on a regular basis, the contents that I cover in these weekly posts will vary greatly. 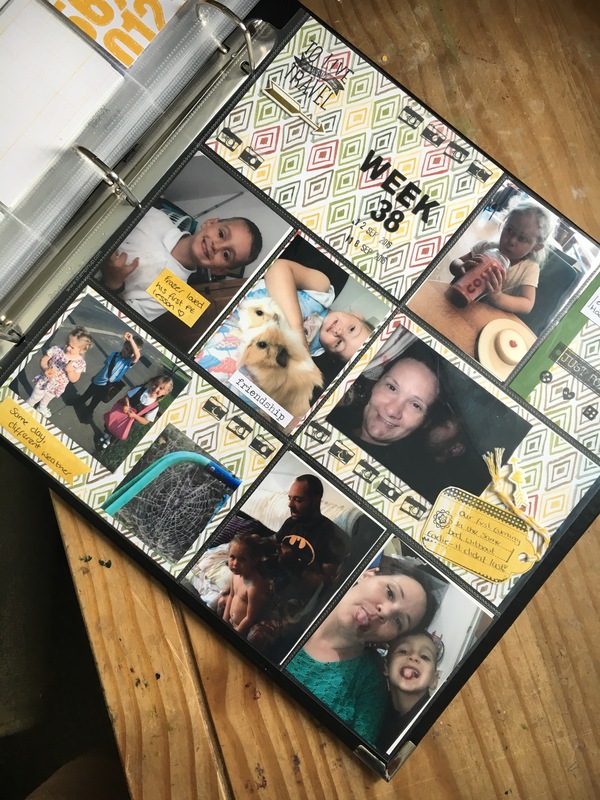 I usually start the week by completing the previous weeks Project Life, I’m keeping a “Project 52” album this year, where I document our weeks as they go by. I’ve just managed to get back on track and although I have weeks missing that I need to go back and complete, The past 2 weeks I’ve managed to finish my weekly spreads… Just a note about the picture of me in the middle…. I hate it!! I’ve no make up and was lying down, but I think it’s much more important to take the pictures and use them, they show us and our real lives and they are the memories we’ll look back on in future… We all have pictures that make us cringe, but that won’t matter to our children or grandchildren in the future, so I challenge you to use a picture you are not happy with, It gets easier to look at and then it’s actually easier to love your imperfectly perfect self! As well as project life I’ve started Art/creative Journalling. It’s very new to me and I spend more time watching YouTube videos than creating the art, but it’s very calming and I love having my art journal on me, it inspires me to find art in everyday life! This week I created my first page, I wanted this page to inspire me every time I open it. 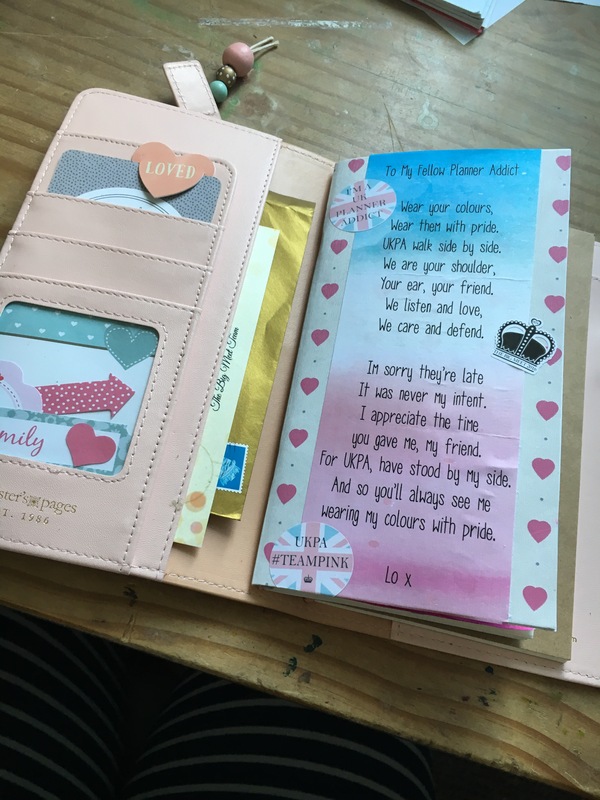 I had some Journalling cards on the front of my art journal, but when I received my wrist band from UKPA I knew I wanted to use this poem somewhere, I decided on the front page for a few reasons. UKPA is a group on Facebook that you’ve heard me mention before. It is run by a group of admins who truly love and care about each and every member, in my time there I’ve seen them collect money to replace household belongings lost in a fire, s b’s gifts to people who are really down, pay for someone to travel on their honeymoon and much more. Everyone is supportive and I’m lucky to be a part of it. This letter came at a time when I really needed it, I’m going through a few things “in real life” and this reminded me that there will always be someone there for me if I need them!! It has pride of place at the beginning of my creative journal. I really need to get my finger out and start my project life! Lol! I’m with you! I love how therapeutic I find my art journaling to be.